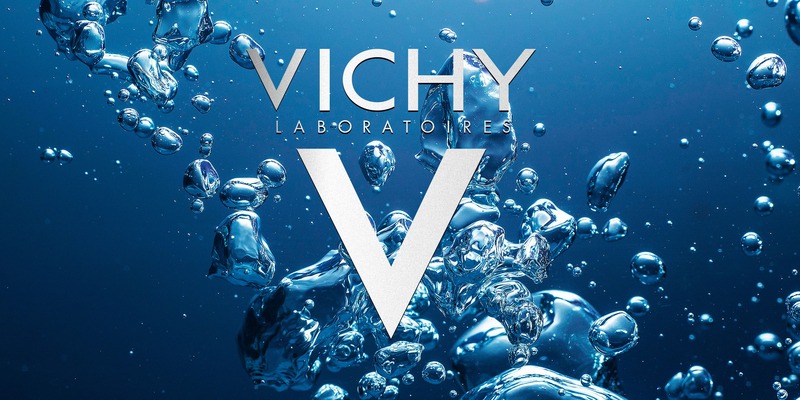 Cult French pharmacy beauty brand Laboratoires Vichy has been exploiting the properties of thermal waters from Auvergne volcanoes for over 70 years. This jewel in the crown of L’Oréal’s Active Cosmetics Division constantly reinvents itself by developing franchises that specifically cater to every type of skin. Today, more than ever, the brand is at the forefront of innovation by developing specific treatments in line with our new lifestyles; seeking the perfect balance between technical excellence and naturalness. For over 15 years Crépuscule has supported Laboratoires Vichy in their overall thinking: the design volume and graphic identity for the new franchises, merchandising and digital activation recommendations for the international market, media publishing for product launches and prototype models. Thermal water, the core ingredient of the Vichy range, is enriched with new, natural active constituents with anti-oxidant, purifying and detoxifying properties. Out of the information-oriented, streamlined, graphic identity of the 2010s, an expression of naturalness specific to the brand gradually broke through. Through the use of contrasting colours and a semi-abstract interpretation of the plant world, Vichy showcases a new turning point for the brand: the power of plant-based active ingredients to fulfil beauty promises in keeping with our complex, urban lifestyles.